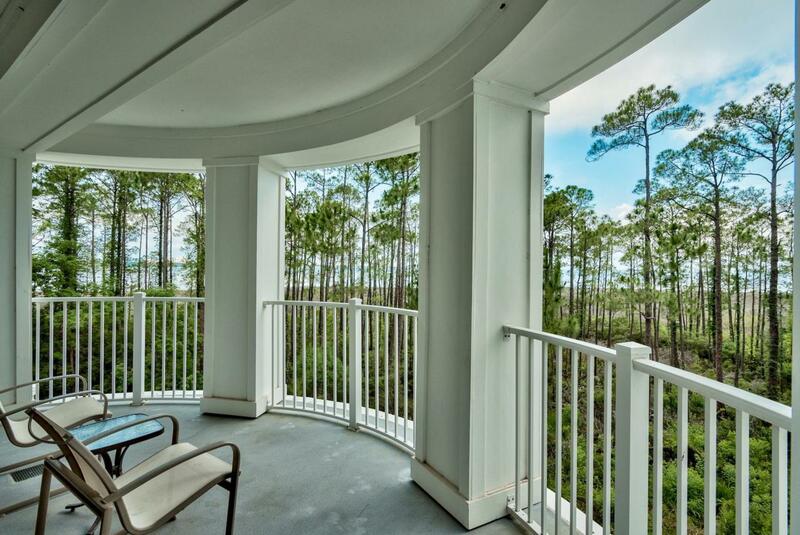 Enjoy tranquil views of the Choctawhatchee Bay from the large private balcony. Beautifully furnished, this lock-off floor plan allows you to utilize it as a 2 bedroom, or 1 bedroom and a studio in order to increase your rental opportunities. In addition to the master bedroom with en suite bath there is a sleeper sofa and an additional full bath to accommodate extra guests in the 1 bedroom side. The studio lock-off has king-sized bed, full bath and kitchenette. Owners have access to the resort style pool and fitness center at the Grand Sandestin, and exclusive access to the private Solstice Club sitting on the bay featuring outdoor barbecue area, kitchen and screened porch with fireplace.